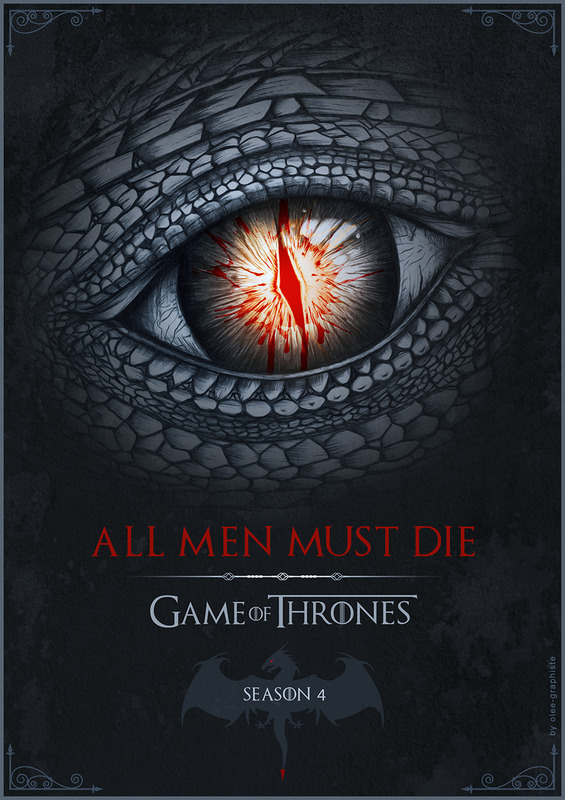 Some designs are quite literal, like the embroidery pattern I copied off Cersei's dress coat (left pinky) or the dragon's eye I got off a poster, while others are more abstract like the dragon's eggs, which could also be seen as the dragons' scales or body armor worn by a lot of the characters. My left ring finger design started off as armor, but evolved into the idea of the throne, represented by glittery / scaly gold and depicted using round glitter spangles. I also incorporated the idea of the inferno on my right thumb, which could also be seen as blood splatter, fire, etc. 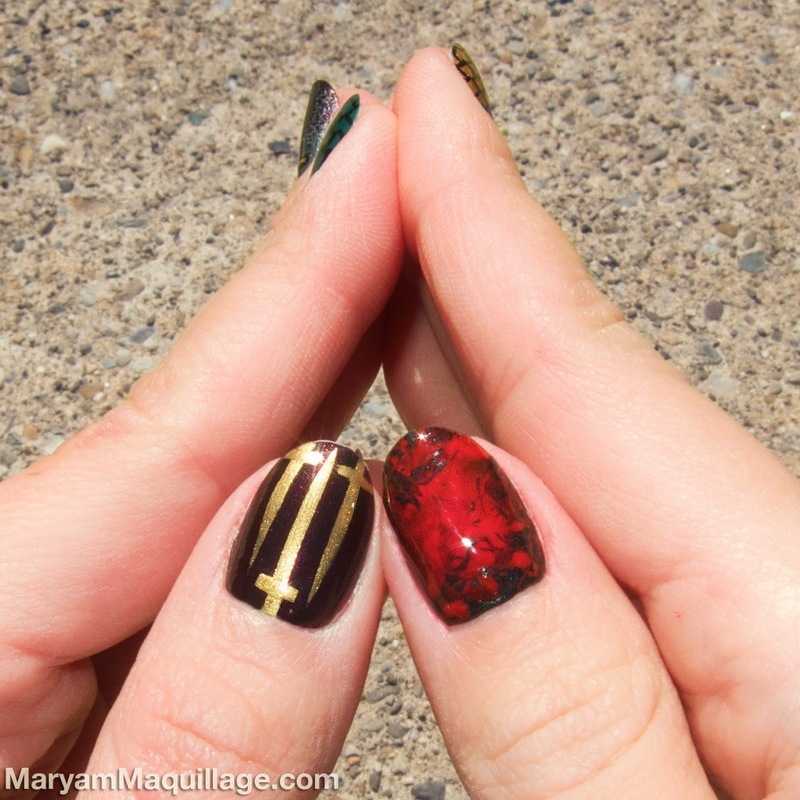 Lastly, I painted several swords on my middle fingers and left thumb to hint at the Game Of Thrones logo. Wow that's awesome! *O* I have to try something like that :D Great job! 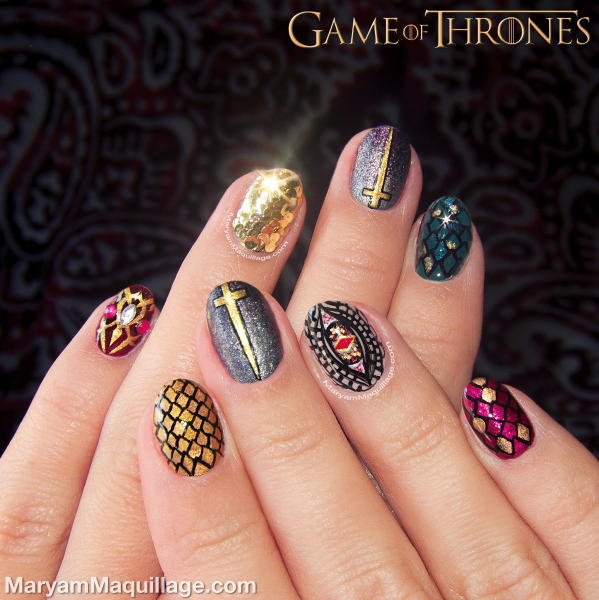 This is the best GoT nailart I've ever seen! Every nail looks better than the other. Thank you Kayla, mine too!!! Awesome! Did you enjoy the new episode last night? This is so pretty. Love the idea and it really matches the theme. Pretty color combos and designs. Love it!